Tuesday, September 21, 2010 \AM\.\Tue\. Could we please stop with the Locker for #1 pick and Heisman? This is the second game he’s blown this year. He shouldn’t still be on a Heisman ballot. The Heisman is between Pryor, Robinson and Patrick Peterson (his interceptions this weekend were insane) at this point. Brian Kelly is not a good coach, or at least not from what I saw Saturday night. A bizarre 4th & 1 decision to go for it in Notre Dame territory late in the 4th quarter as well as being totally unprepared for an obvious fake field goal situation makes me question Kelly. Coming from a fan who puts up with Les Miles’s gambles, that’s saying a lot. Monday, September 13, 2010 \PM\.\Mon\. The first lesson we need to learn is that if we keep ignoring the Federalist Papers, Madison will strike down our football teams. The other lesson is that it’s great to not be an ACC fan. This week the rankings take on two new additions: our own Dave Hartline and Evangelical Catholicism’s M.J. Andrew. If you’re a Catholic blogger, and you’re interested in writing rankings, shoot me an email at michaelrdenton”at” gmail. com. Let’s see those rankings now, shall we? Thursday, September 9, 2010 \AM\.\Thu\. So we’re trying a new feature here at TAC. Since we noticed we have a lot of college football fans, we thought it might be fun to start our own rankings system. 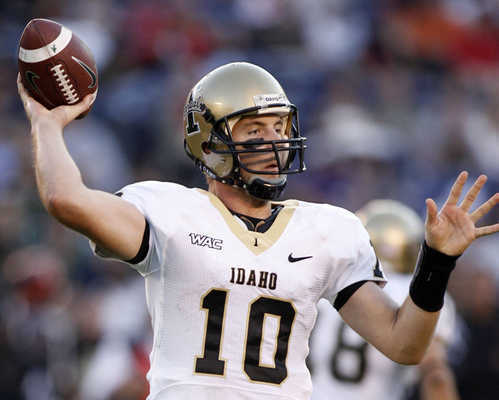 This way, we have an excuse to talk college football every week in a Catholic setting. B/c we thought of it this week, this ranking is coming out on Thursday but the others should be coming out on Mondays. Here’s how it’ll work. People will send in their rankings and I’ll assign points to them (25 for 1st, 24 for 2nd, etc.) and then average out the points and rank the teams according to that. Then I will take that score along with the computer models and…just kidding. No computer models. My hope is that it’ll build and we’ll get more people involved (and if you want to submit rankings, let me know-you don’t have to write for TAC). At the end of the year, we may even do a special bowl pick-em thing if it seems popular enough. Monday, September 6, 2010 \PM\.\Mon\. That is a word that many music entertainers use to describe “Weird Al” Yankovic. All of the songs that Weird Al parodies he gets approval for. In fact after the Coolio controversy about his “Amish Paradise” music video he now makes sure he speaks with the music entertainer directly before he proceeds in the production of any new venture. Weird Al also parodies music styles, ie, pastiche, in addition to pop music hits. In another cult classic which is a rare original from Weird Al, he pokes fun at the pop music group Devo and their brand of music which is New Wave. An apocryphal story has been recounted where the lead singer of the Talking Heads, David Byrne, said after viewing the video for “Dare To Be Stupid” that Weird Al is a “genius”! Dare To Be Stupid is the title song of the same album, and in my personal opinion his best album ever. Sunday, September 5, 2010 \PM\.\Sun\. I’m coming out of the closet, I’m a “Weird Al” Yankovic fan. I don’t listen to him much these days, but I do keep up with some of his latest hits like my post from yesterday. 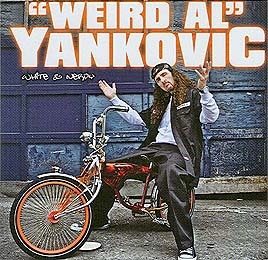 In 2006 AD the music video “White & Nerdy” re-introduced “Weird Al” back into the mainstream of American culture. This video was his first Top 40 single since 1992’s “Smells Like Nirvana”. It also eclipsed the greatest single he ever had, “Eat It”. In between those to seminal hits he has been very active releasing albums every other year or so, but this new hit of his re-established himself as an icon of parody videos and clean fun. This song makes fun of nerds everywhere from Houston, Texas to Springfield, Illinois. It includes constant references to stereotypically “nerdy” things, such as collecting comic books, playing Dungeons & Dragons (D&D), and editing Wikipedia, as well as stereotypically “white” things, like watching Happy Days and playing ping pong. Enjoy the cameo’s, especially from Donny Osmond! Yes, there are more funny and highly entertaining video’s from Weird Al. I compiled a short list of his most creative hits. Sunday, September 5, 2010 \AM\.\Sun\. Thursday, September 2, 2010 \PM\.\Thu\. In his show yesterday David Letterman makes a playful jab at President Barack Obama for his most recent vacation.